Open Box Remo Powersonic Coated Bass Drum Head 24 in. 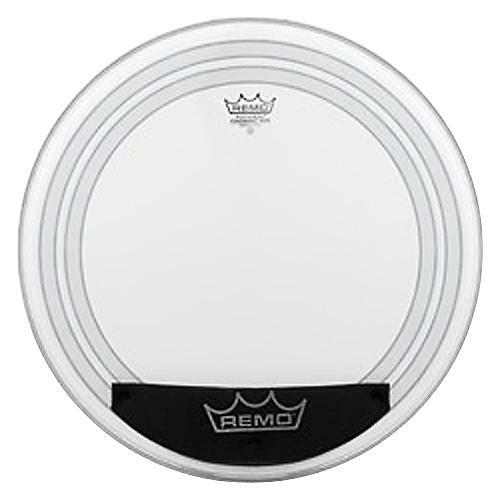 Remo Powersonic bass drumheads give the drummer controlled mid-range and low end for the most powerful bass drum sound that's It, right out of the box. The Powersonic bass drumheads are constructed of 2-ply 7 mil Mylar with two specifically placed internal subsonic dampening rings with External Snap-on Dampening System (ESDS) technology. The two mounted 3/4" internal dampening rings enhance low end without affixing trays or hard-backed dampening materials to the drumhead. The unique patent pending ESDS system employs snaps mounted directly to the drumhead to eliminate the possibility of vibration. This allows you to easily customize your muffling, feel, and sustain for different playing situations by "snapping" the strategically placed weighted pillow to the drumhead. Also included is the Falam Slam for added attack and durability.